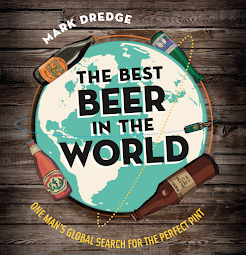 Mark Dredge - Beer: Beer Swap: Here It Comes! We’ve already had some big news this week but this one could be even bigger: Beer Swap! We’ve had a couple of blog posts, there’s been lots of twittering, we’ve gained a hashtag and @beerswap, an email address and, most importantly, we’ve got a lot of interest, so much interest that we’re expanding beyond the blogosphere and into the tweetgalaxy. We’ve thought it all through and we’re ready to go (the only thing we can’t control is the bloody postal strike!). The idea for this is to share beer. It’s about giving and receiving the best bottles which are local to you but which are not easy or possible to get further away. The aim is to drink some new beers and then to write about them, either in blogs or on twitter. It’s all about sharing. And here are the important pieces you need to remember, one more time: Send four bottles of beers which are local to you. Local means within about 30 miles of where you live, if possible. They must come from at least two breweries. If you brew your own then you can send that, commercial or homebrew. They must be good beers – quality is more important than it being ‘the most local’. Don’t worry if someone in the same area as you wishes to send beer from the same brewery - it doesn’t matter because it’ll be going to a different recipient. Go for bottles which the recipient is unlikely to be able to get hold of in their area (just because you live near Badger’s doesn’t mean you should send one because they are in all the supermarkets). Please package them safely; no-one wants to open a box of broken glass and stale beer. And finally, when you receive the beer then say thank you and enjoy them and tell everyone else about them. In order to pull it all together, this is the next step: email your name and the delivery address to beerswapuk@gmail.com. Also, tell us your blog and twitter names if you use them. And, if there are any areas that you particularly want/don’t want to drink from, then add that too. If you wish to use Collect Plus to send/receive then indicate (check the website – but be warned that we send liquid/bottles at our own risk, and so on…). We are compiling the names and putting the draw together but we need to know exactly who is in. A lot of people have said yes, but we need a hard yes, a definite ‘I’m in for Beer Swap!’ And only come in if you can definitely do this – we don’t want someone to go without! The deadline is 6pm on Monday 26th October. We will then get details out of who you send to on Tuesday 27th October. Then we have four weeks and a few days to send/receive and drink. One thing which has been looked into is postage. The strike could cause problems. Parcel Monkey and Collect Plus seem like decent alternatives and Andy and Mark from Real Ale Reviews had some success with Collect Plus (the deal with Collect Plus is that you post/pick-up from selected stores or centres and you can check where these are online – it’s £4 to post a box of beer). We have also made a decision on the drawing of who sends to who as we have now opened out to everyone – bloggers will be paired with bloggers, tweeters with tweeters. This is important because we want to create interlinks on the blogs. I’m sure if some tweeters wish to write guest posts then there will be bloggers around who will oblige. Use #beerswap and send tweets to @beerswap or @chilliupnorth and @markdredge. We have a posterous too so send pictures to the email/twitter and we will deal with that. But first of all, send us your name and address (and where you want/don’t want beers from and if you wish to use Collect Plus) to beerswapuk@gmail.com so we know who wants to play (and don’t worry, we’ll keep your addresses safe). On Tuesday (hopefully!) you’ll find out who you send to, so get buying the beers! As this is a collaboration with Andy at beerreviews he will be posting the same blog this morning. Have a good weekend everyone, drink well! Have sent info in emails, just checked and looks like Collect Plus have a collection/drop off point near where I work, so I should be able to make use of that too. This is a great idea-- I only regret I was totally MIA online when it was being formed! Still time to join in impymalting!